In each item record, you will find tools to cite, email save, and export items. 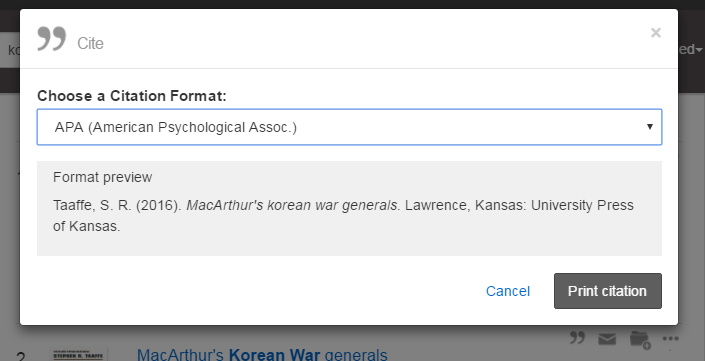 You can Cite items directly from PittCat+. To start, click on the Cite this item icon in your search results. This will bring up a menu from which you can view the citation in a variety of methods, including APA, MLA, and Chicago Styles. You can view or print the citation from this menu. It is important to always double-check the citation you see here against your particular citation style! Information may be missing or misplaced in these-system generated citations. 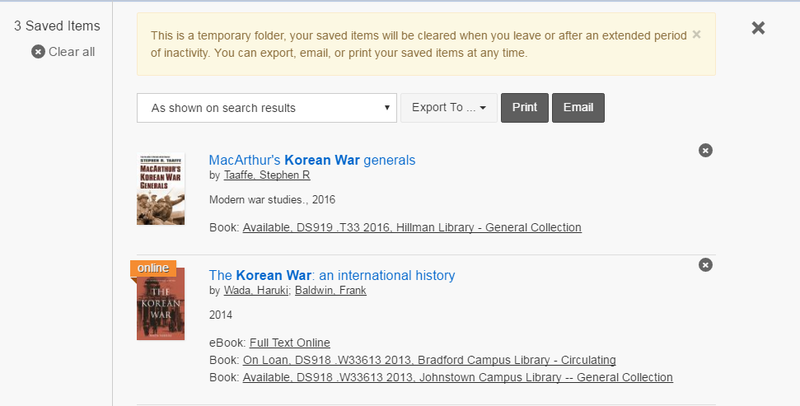 If you find multiple items in the catalog that you would like to look at all at once or save/export, you can save the record to a temporary folder within PITTCat+. To save a list of records, click on the folder icon in the upper-right hand corner of the item record. Save this item will appear when you hover over the icon. This will save the item to a temporary folder which you can access at the top of the screen. Click on the icon to access your saved items. You can print, email, or export your selected records from this temporary folder. Use the Export To... feature in the folder to save the items to your account in EndNote, Mendeley or other citation managers.